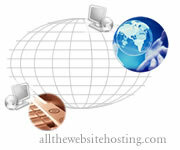 Allthewebsitehosting.com is a niche web directory for listing website hosts and Internet Service Providers (ISP). Our directory helps you choose a better webhost from different categories listed here. We invite web hosting companies for a free listing in our webdirectory. Free Search with hosting details. Various categories to find the apt host. Free to add your webhost details. Multiple category listing for better exposure. Reach thousands of webmasters by listing it on our site. iPage Webhosting Offer Since 1998, iPage webhosting offers robust, all-in-one hosting solution includes everything you need to put your business or personal site online.